The IATROSCAN MK-6 with FPD (Flame Photometric Detector) detects the hetero-atoms such as phosphorous and sulfur selectively. Simultaneous measurement by both FPD and FID (Flame Ionisation Detector) is possible. Organic compunds on the thin-layer are captured by means of two eyes, FID and FPD without omission. TLC-FID/FPD provides improved quantification and reproducibility enabling the user to acquire a wealth of analytical information of their sample. More information on the IATROSCAN MK-6 can be found in the brochure. 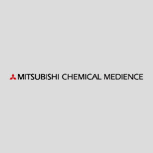 Find out more about Mitsubishi Instruments, visit their website.